I often order from the ‘sides’ part of the menu when I go out for dinner. That’s where you usually find the good guys (and the French fries…); sautéed spinach, roasted carrots, green beans, Brussels sprouts etc. What I wish though, was that more restaurants (and not just the healthy and/or plant-based ones) gave these simple veggie sides the muscle to help them stand alone as main courses. Some roasted chickpeas, an ancient whole grain, something to help it all stick a little better. Imagine if your garlicky Swiss chard was served on a warm layer of white bean and parsnip purée. Or if the Brussels sprouts were served on top of a scoop of creamy millet polenta. 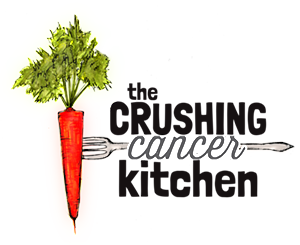 Suddenly these veggie ‘sides’ would catapult themselves from the sad, miss-able sidebars of menus onto the main stage. They would be hearty menu options that wouldn’t be considered plant-based just due to that lack of animal products (I’m looking at you token pasta/risotto), but because they would be made up of actual plants that you would recognize from your garden (or, like, the community gardens you walk past with envy). I know there are restaurants that do this well, I just wish it was more mainstream (but I do think it’s starting to get a bit better). 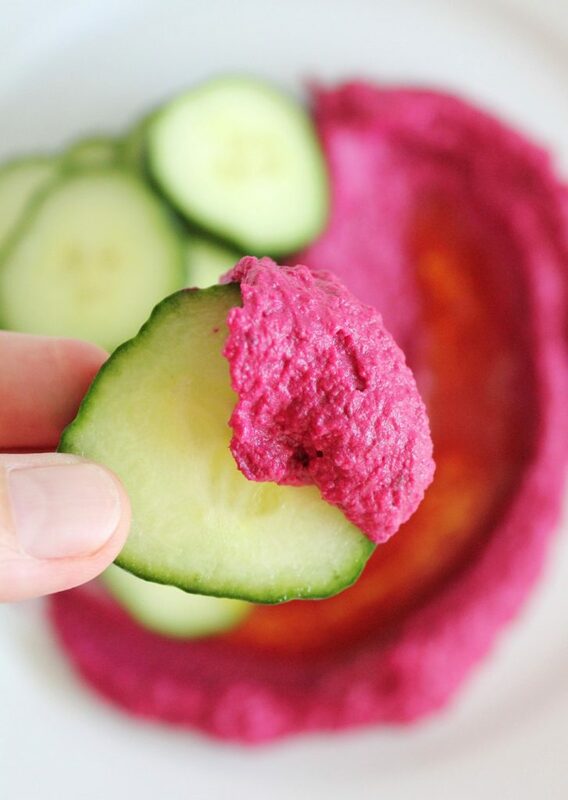 This hummus is great on its own (I mean, its hummus) but it would definitely make a good veggie enhancer. 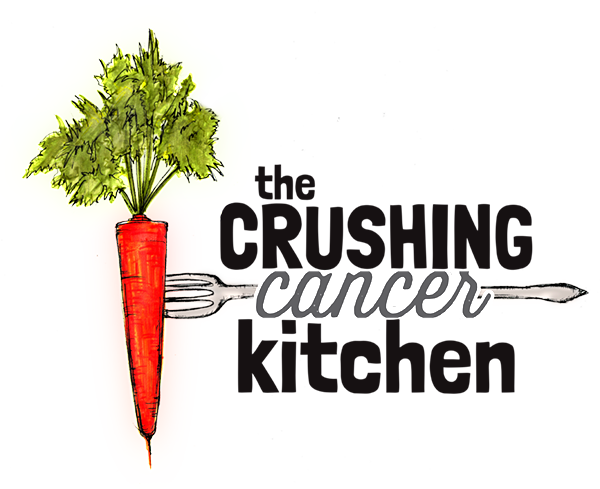 A warm smear of it on your plate with some roasted whole carrots (the kind from the farmers market that taste like carrots), and a handful of fresh herbs is something I would pay money for right now. Even a dollop or thin layer to brighten up the green salad plate would be enough to eliminate the need for the bread basket. 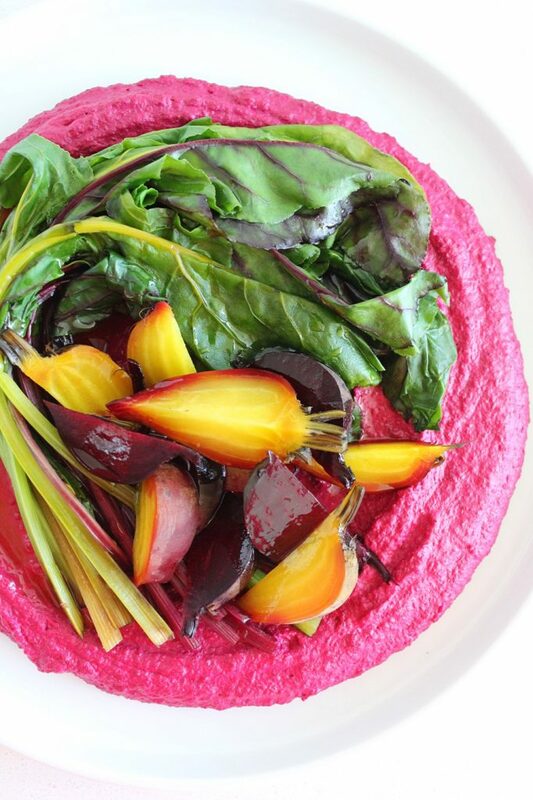 Or you can do what we did here, just cook all of the beets (and their greens!) and serve everything together. 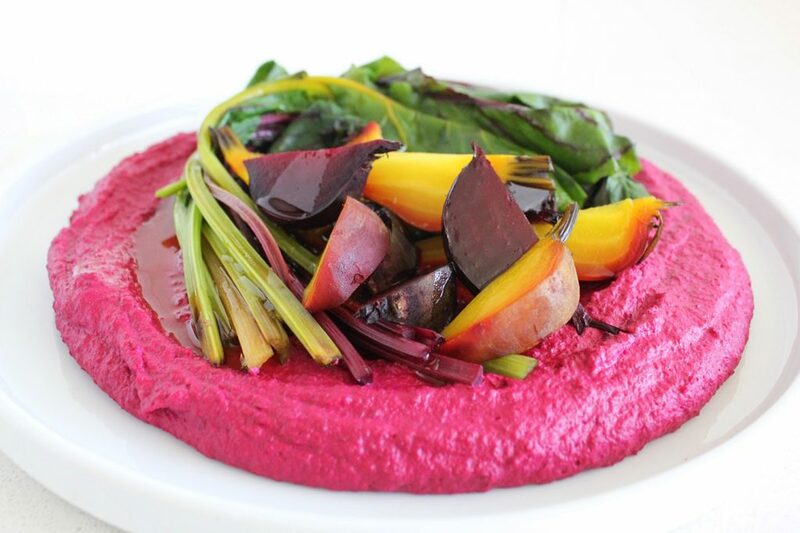 It is more about the hummus than the beets the way that we’ve plated it (veggie-enhanced hummus as opposed to hummus-enhanced veggies) but you could also plate it with less hummus and more beets/beet tops. 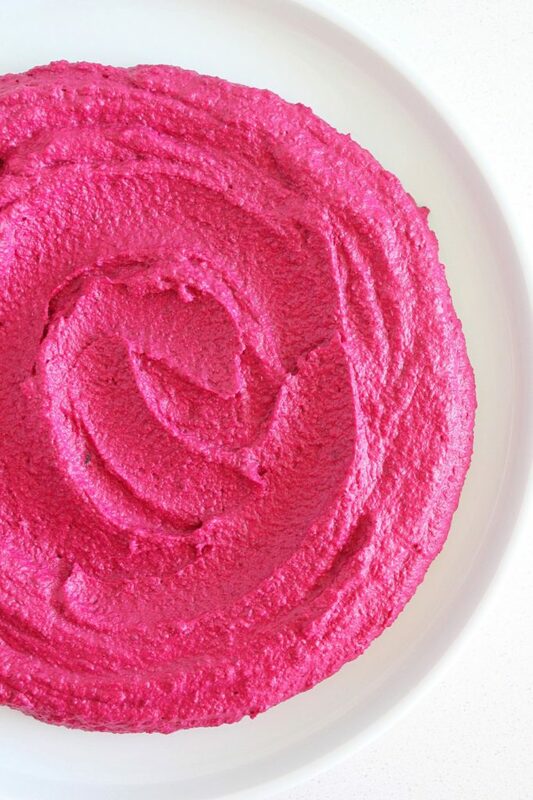 Besides its vibrant, eccentric appearance, this is a mellow hummus. The garlic is lightly cooked (with the lentils), the beets bring all of their pigment to the party but their earthy flavour blends with the earthiness of the lentils so they’re not overly detectable. There’s lots of rich tahini in it too, I think this is what makes it feel more meal-like than usual. The lentils are standing in for the more classic chickpeas for a couple of reasons. 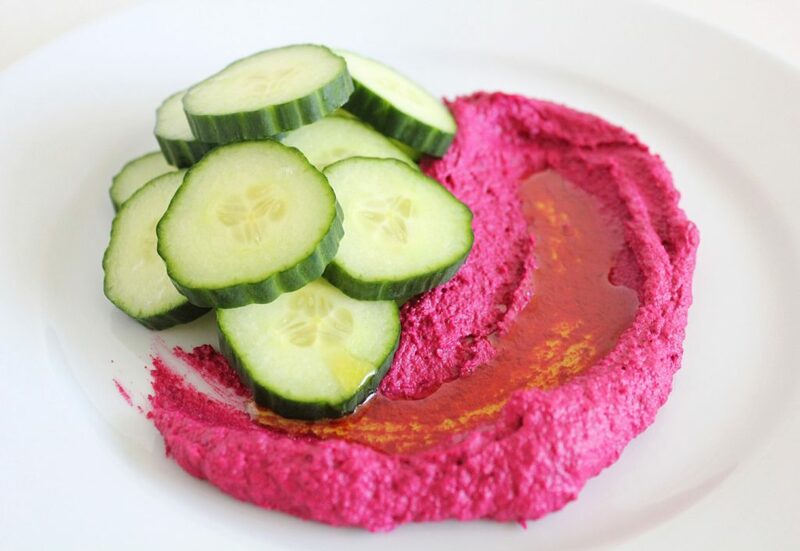 Chickpeas are commonplace amongst plant-based foods (especially if you eat a lot of hummus) and I think it’s important to mix up the foods we’re eating on a regular basis. Lentils are also quick to cook (especially once soaked), contain lots of protein and are lower in sulfur than most beans so are less gassy (although I find this doesn’t necessarily apply to everyone). We cook the lentils with kombu (as we do all of our legumes) to lower the gas factor, and then we actually purée it right in with the dip (mineral city and I swear you don’t even taste it). Do I even need to talk about the health factory that is a beet? 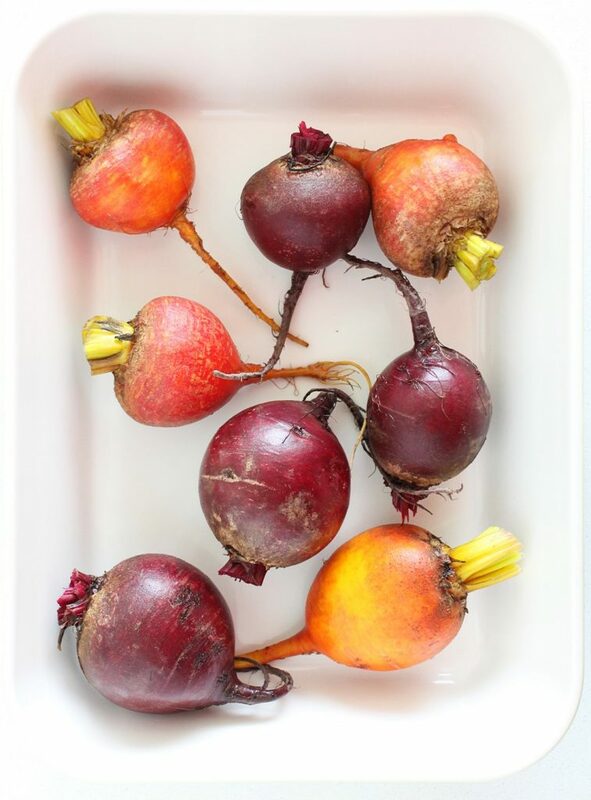 They humbly bring a serious antioxidant punch via their deep, ‘stain the whole kitchen’ pigment, and they are so pretty this time of year and easy to find with their fresh green tops intact (your health-craving body wants those tops). Choose the classic purple, golden yellow or pink ‘candy stripe’ ones, it doesn’t matter which, they all have they’re own super powers. Or in the interest of eating the rainbow, maybe choose a colour that you haven’t eaten in a while. 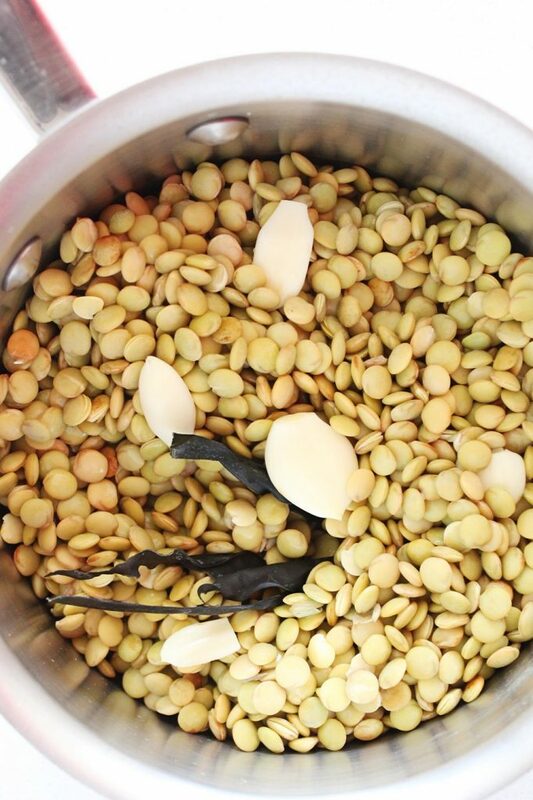 Drain and rinse the lentils and transfer them to a pot and cover with water. Add the peeled garlic cloves and kombu (bury them in the lentils). Bring to a boil and reduce to a simmer until the lentils are cooked (they won't take long once soaked, around 5 minutes) and then turn them off and let them sit for another five minutes or so. 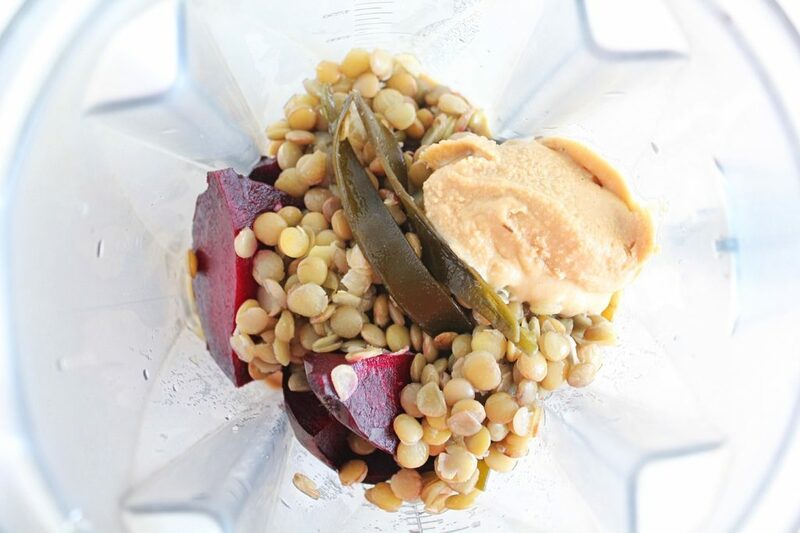 Drain the cooked lentils and transfer them (with the garlic and kombu) to a food processor. 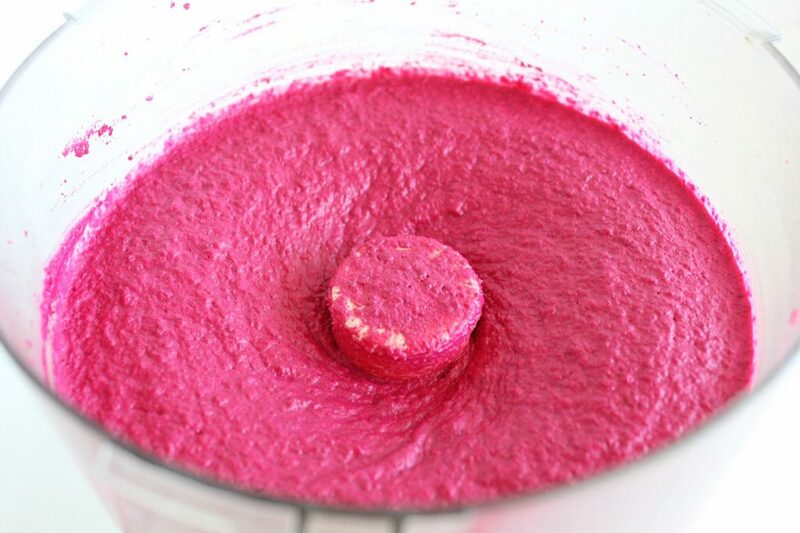 Add the tahini, olive oil, lemon juice, salt and cooked beets (see below) -hold off on the water for now. 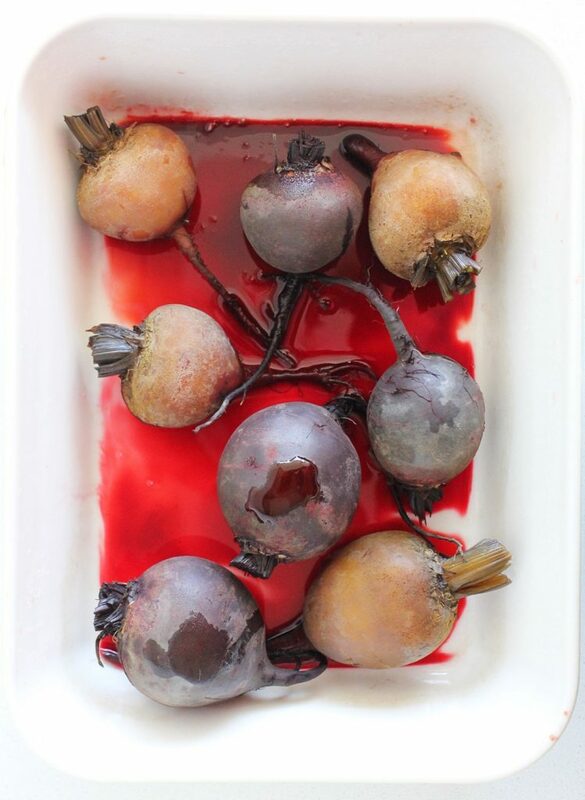 If it's still quite thick (the beets may vary in size/degree of done-ness), drizzle up to ½ c water into it to thin it out. Trim off the greens with the stems and save them for later. 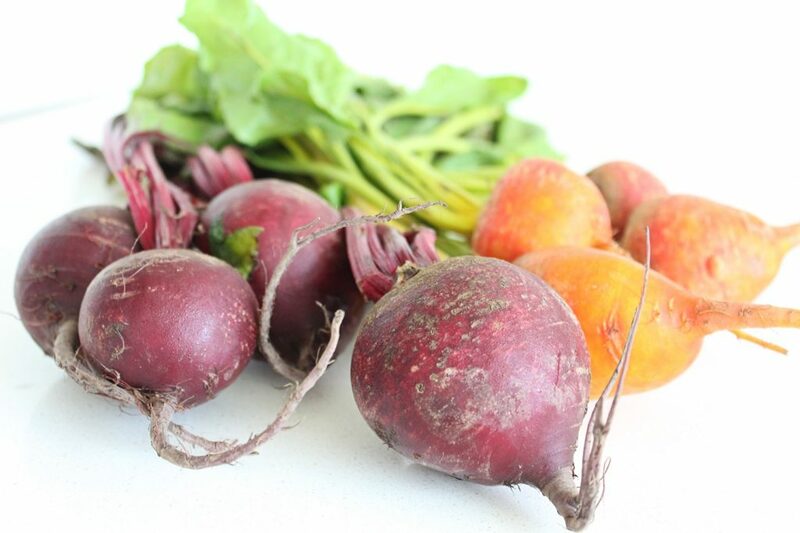 Wash the beets and put them in a roasting dish with a splash (1-2 Tbsp) of water. Cover with foil (not touching the beets) and roast for about 45 minutes or until you can easily insert a knife into the biggest beet and it slides right out. 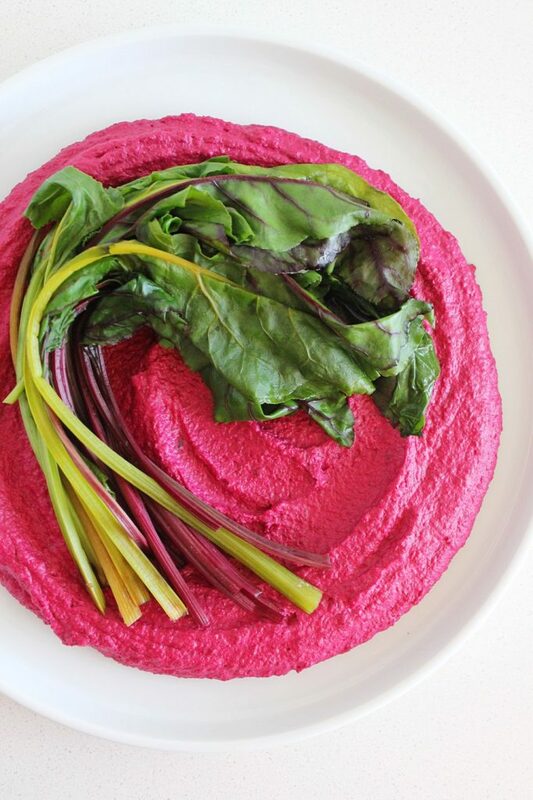 Add some beets to the hummus and slice the rest up for garnish. Steam the greens for garnish too (or sauté with some garlic and extra virgin coconut oil).